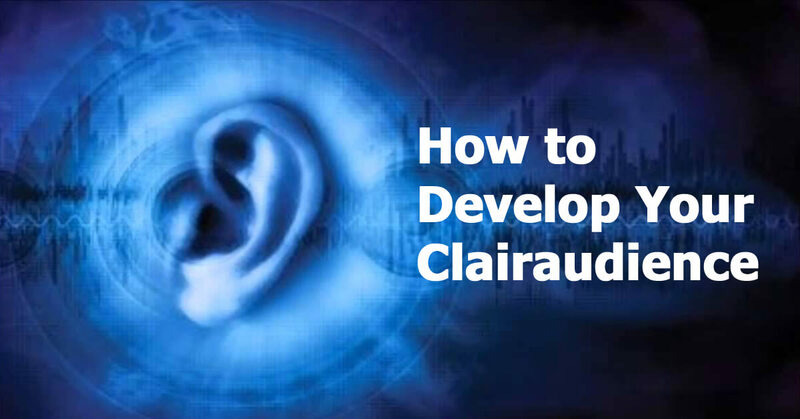 Share the post "How To Develop Your Clairaudience"
Clairaudience means ‘clear hearing’ it is the ability to hear a voice, words, phrases, sounds or music. The sound could come from outside of your head or you could hear it in your own voice in your own head. Ringing in the ears, buzzing sounds or tinnitus is another common symptom of clairaudience. It is the physical sensations your ears are having to higher frequency entities. If the ringing stays there continuously it is likely that you should get it checked by your doctor. But if it is only there during spiritual work or meditation, it is probably your clairaudient ability starting. Close your eyes and listen to the sounds around you, try to identify them, whatever they may be, including the sound of your own breathing and heartbeat. Don’t overlook anything, really tune in and focus on all those little sounds that you normally don’t pay attention to. What do you hear? This exercise will train your hearing to be sensitive to all sounds, especially the soft sounds that may be almost hidden by other louder sounds. You are doing more than being aware of the sounds, you’re hearing the vibrations. Personal development advisor and spiritual practitioner. She has trained in meditation, counselling, spiritual and psychic development. She shares her spiritual and personal development practices, to help others expand their consciousness and move towards personal transformation.